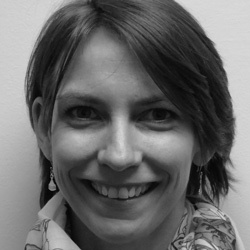 Cheryl Hendrickson, joined HE2RO in August 2014, as a Researcher. She holds an Masters in Public Health from Boston University, and has over four years of experience in quantitative, qualitative, and mixed research methods, for global health programs. Before joining HE2RO , Cheryl worked with an international non-profit organization that focused on sexual and reproductive health, where she provided technical support to the research, monitoring and evaluation efforts for programs in East Africa, specifically Ethiopia, Kenya, Uganda and Zambia. Her previous work has also included program management and data analysis for international health programs, and HIV vaccine research. Her professional and research interests include treatment outcomes in HIV-treatment programs, reproductive healthcare access in an HIV context and epidemiologic methods.